Temperatures during June 2018 rose well above average in some regions of Great Britain (GB), with the Meteorological Office recording well below average rainfall levels. These trends appear to be continuing in early July. Below average temperatures in early spring meant a delayed start to the growing season, with many areas of GB now potentially facing drought conditions. 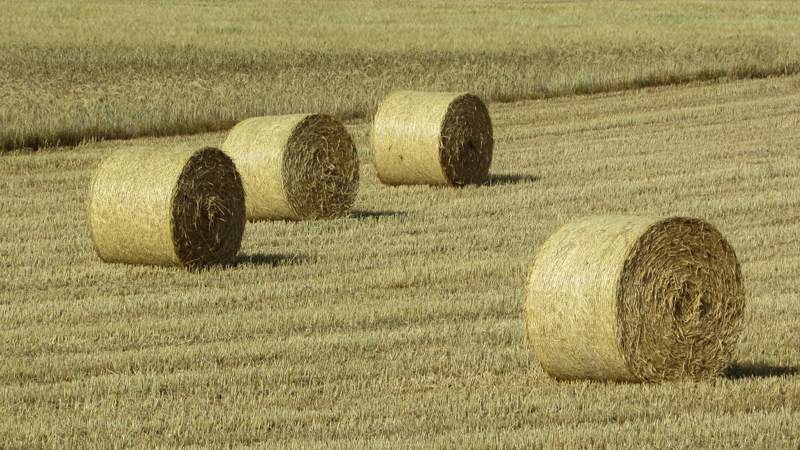 In response, the NFU has reopened its Fodder Bank to help farmers source forage and straw. Some associated livestock health, welfare and production problems that may arise are listed below. All animals require an adequate supply of water. The use of alternative water supplies in dry weather could lead to accidental intoxications. For example, if transporting water in bowsers, ensure they have been adequately cleaned beforehand, especially if they have previously contained fertilisers. Heat stress can affect fertility and cause production losses in all animals, in particular in high producing dairy cattle and can lead to welfare problems. Provide shade, minimise the time animals are held in strong sunlight and ensure good ventilation for those which are housed. Flies may exacerbate the spread of infections, for example New Forest Eye and summer mastitis. However, a key risk to the health and welfare of sheep is blowfly strike. SCOPS have produced a product guide that provides treatment and control options for this condition: http://www.scops.org.uk/workspace/pdfs/product-options-table_3.pdf. Weeds survive remarkably well in dry weather, probably due to their often deep seated roots. Ragwort may be eaten if dried out in the pasture, when it becomes more palatable to stock. Hedgerow plants such as the nightshades or bryonies may be browsed as animals are seeking shade cast by hedges. Animals may also break out of fields in their search for feed and gain access to gardens and potentially become poisoned by ornamental plants most commonly Pieris spp, rhododendron and yew. As grazing becomes scarce animals may turn to bracken. Blue green algal blooms on lakes and ponds can be lethal. The Environment Agency issues alerts when blooms are seen, but they can occur in very small water bodies. The possibility of haemonchosis in grazing sheep, goats and calves could increase, particularly after heavy rains, as this parasite is able to survive in warmer temperatures. Clinical signs are anaemia, with no diarrhoea, and subcutaneous oedema (bottle jaw). There is little immunity to this parasite, so disease can be seen in lambs and adult sheep. All classes of anthelmintics have activity against Haemonchus contortus, but anthelmintic resistance in this parasite is recognised. Ryegrass staggers is a neurotoxicosis of animals grazing perennial ryegrass (Lolium perenne) infected with a seed-borne endophytic fungus Acremonium lolii. It may be encountered in cattle, ewes and fattening lambs in late summer, usually after periods of prolonged dry weather when the grass is under drought stress. The condition may also occur following periods of rain that allow production of the endophytes on the ryegrass. Diagnosis of ryegrass staggers is based mainly on a clinical history of ataxia, tremors and collapse, although brain histopathology at postmortem examination may be helpful in differential diagnosis. If suspected and animals are moved to another pasture they may improve but the neurotoxin can persist in hay/silage.